These vases were designed by French outlet FX Balléry for Domeau & Pérès. 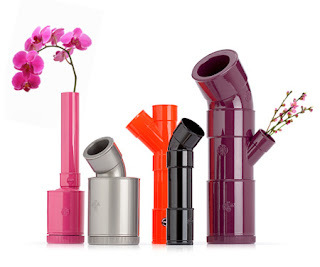 They’re made out of PVC and fashioned after plumbing pipes. 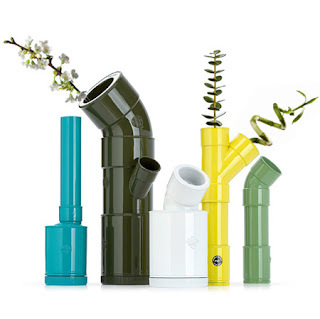 Pipe Vases it's perfect in order to adorn our house I didn't know we could create something original like that with those pipes, it's incredible I had never had that idea.